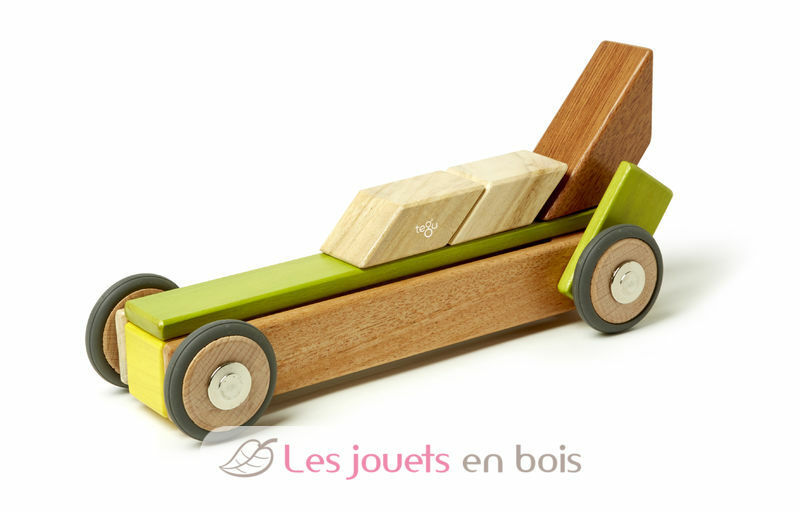 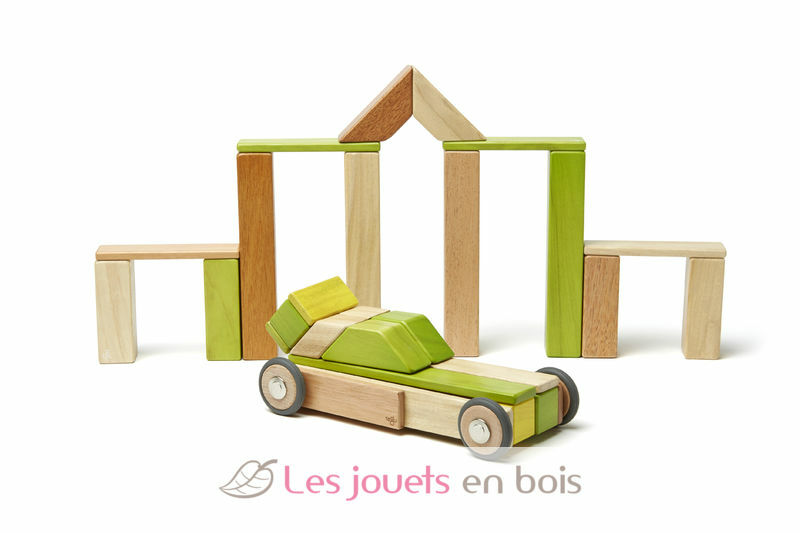 This set includes 38 wooden magnetic blocks and 4 wheels. 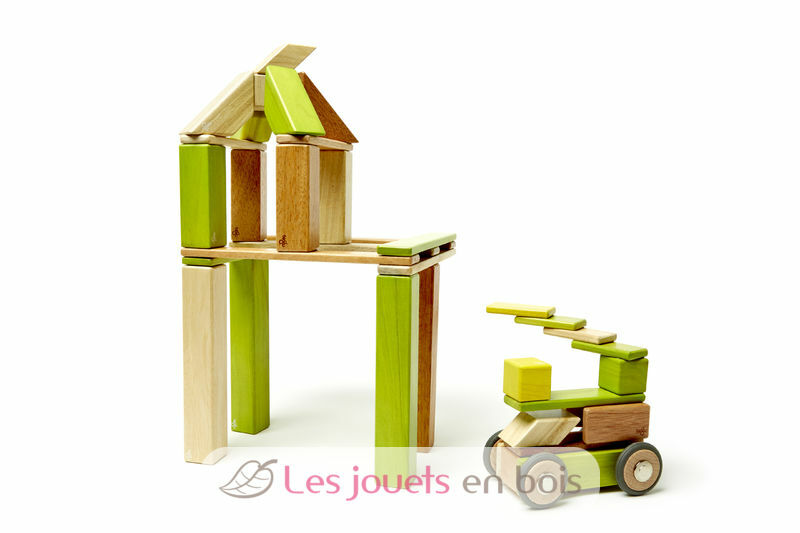 The 42-Piece Set is a large building set from Tegu magnetic wooden building range that allows for big and tall creations. 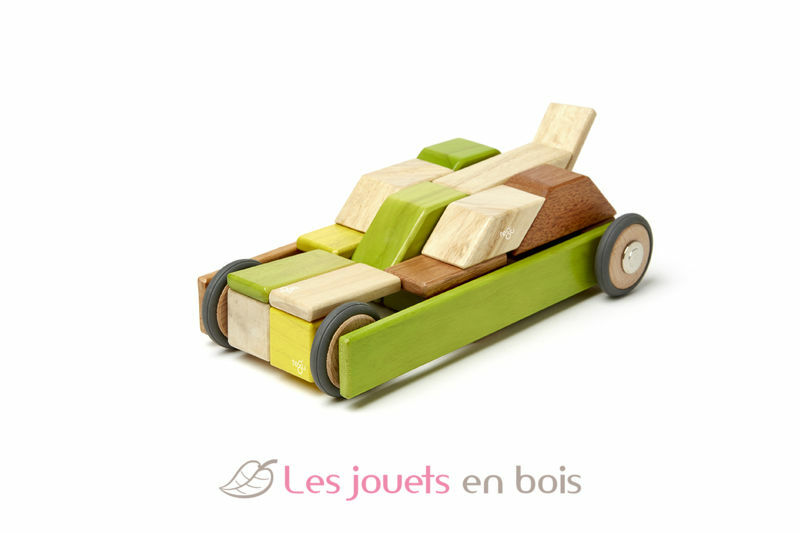 Click wheels on and off to create any number of mobile creations. 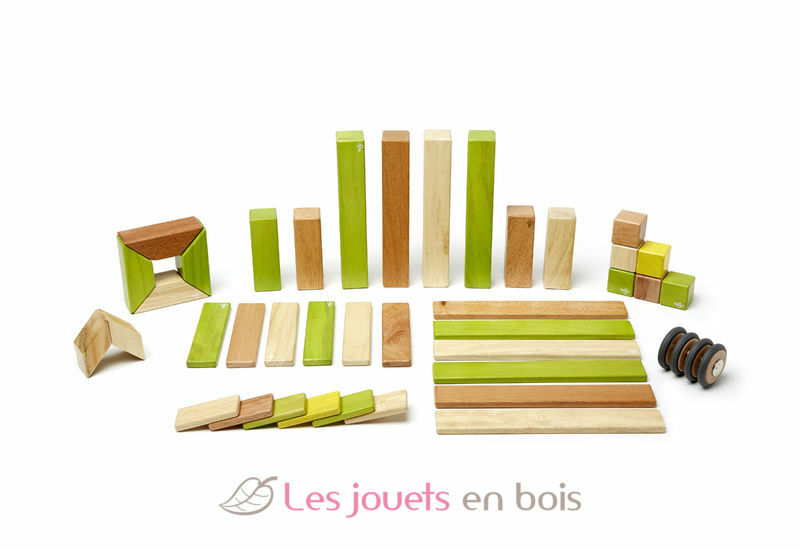 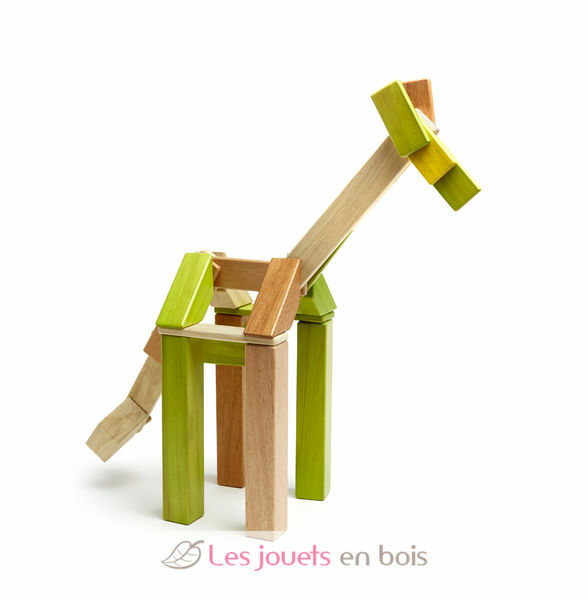 42-Piece Set Jungle, magnetic wooden building blocks made by Tegu.